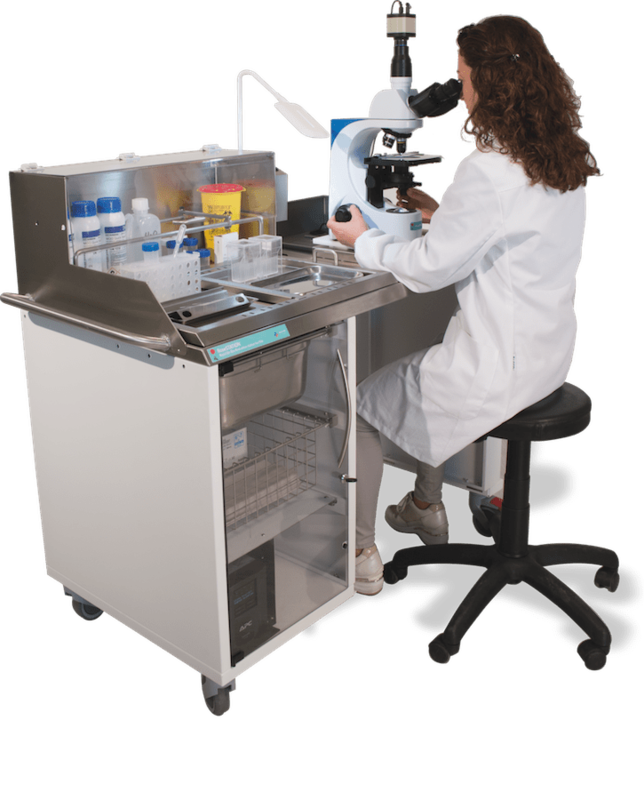 With the term Rapid On-Site Evaluation (ROSE) we refer to a service that the cytopathology laboratory provides for patients and their physicians. 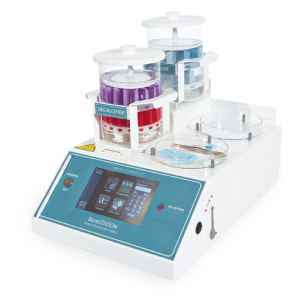 The advantages include assurance of Fine Needle Aspiration (FNA) biopsy adequacy, the ability to triage the specimen, shorten the length of the procedure, direct the biopsy in real-time and overall assist in managing the patient’s procedure with the performing clinician at the point of care. ROSE service for FNA biopsy is a time-limited procedure which occurs while patients are subject to varying degrees of sedation and while they have endoscopes or large needles placed within the cavity or abdomen. As such, it is important to collect and deliver images as quickly as possible in the highest quality. The challenge is that until now there has been no mobile dedicated unit/system to carry out ROSE on location. 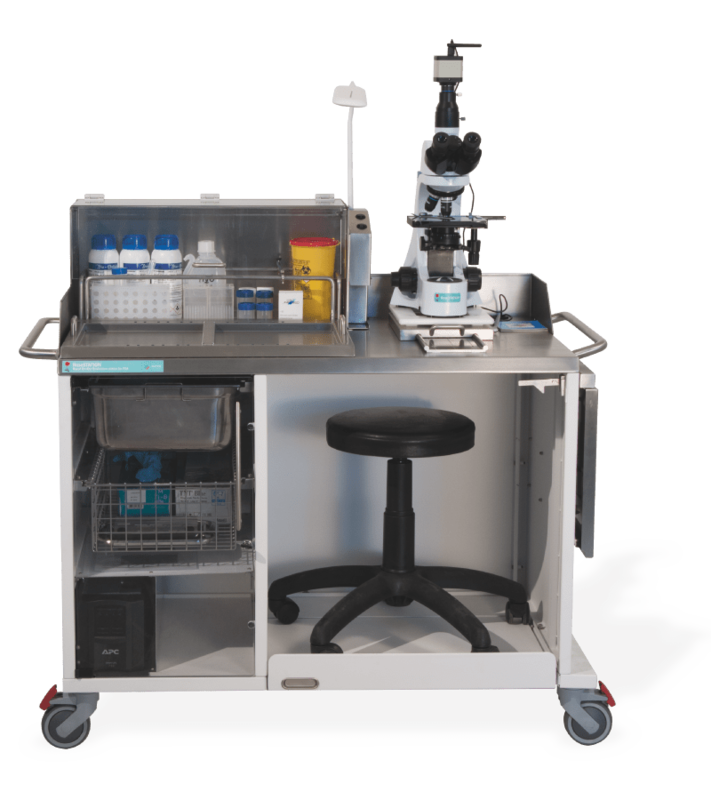 At time of call citology personel must assemble items that will be required and transport them to the on-site location with a mobile cart. 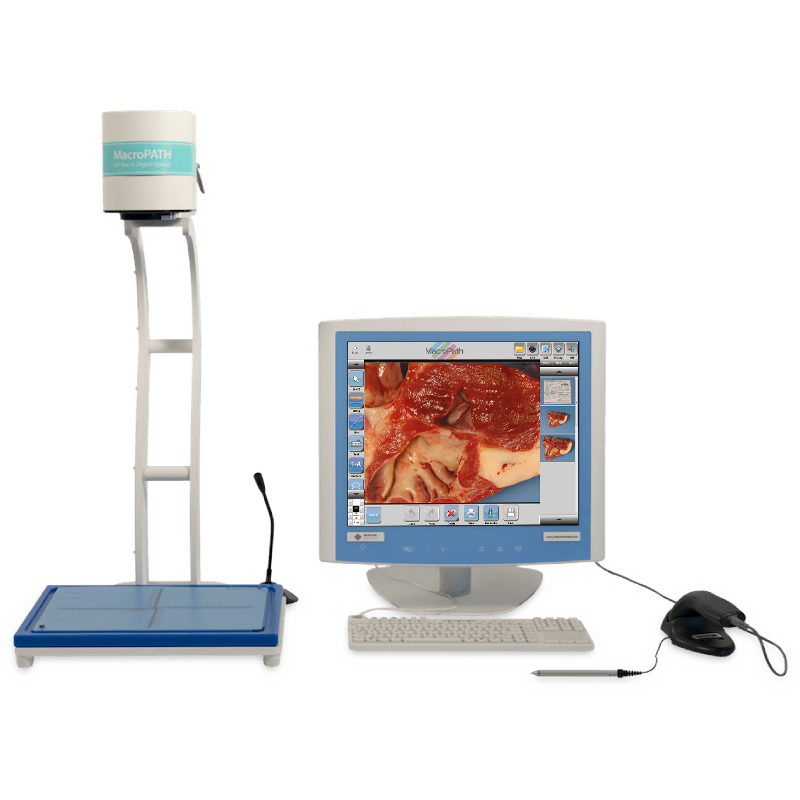 Developed from an original idea from Professor Mousa A. Al-Abbadi the RoseSTATION is Milestone solution to arriving rapidly on-site with a standardized work platform containing all tools required to accomplish this important diagnostic task. All items needed are always available to the operator to assure rapid turnaround time. Always ready to go. Just disconnect power and drive to new location. UPS power supply allows operation of lamp, forced air dryer and microscope for up to 40 minutes in case of lack of power on-site. 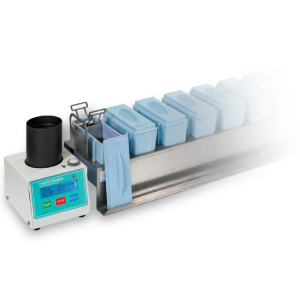 The RoseSTATION is delivered without consumable items or reagents. 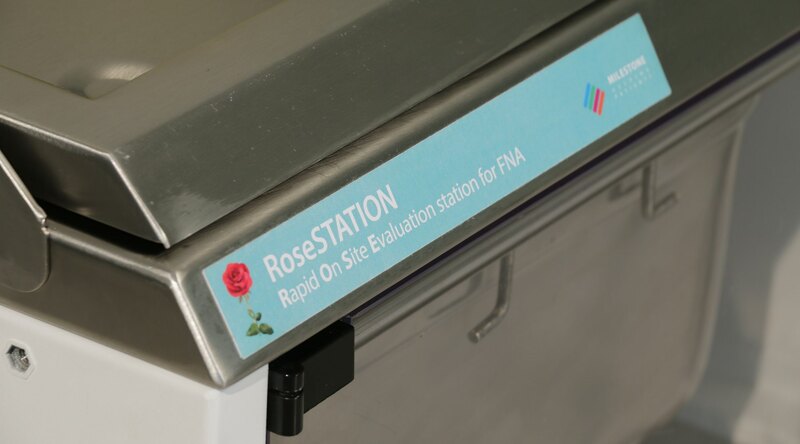 Each laboratory will outfit the RoseSTATION with items required according to their own standard operating procedure for ROSE.